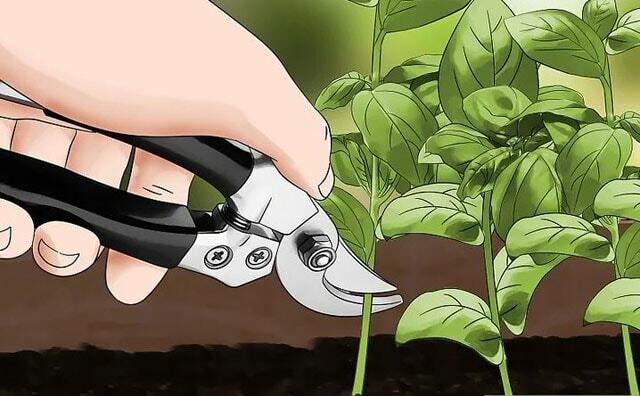 Planting basil in the garden becomes an attraction, if you have planted it and followed all the instructions, maybe in the middle of summer you already have a lot of basil with a mint aroma that you are ready to harvest. 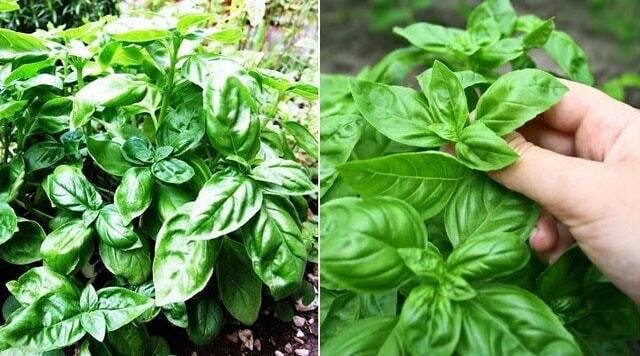 But many beginners have problems here, how to harvest basil properly and how to use it in daily meals. Keep on writing this article, I will share how to harvest results for all of you. Harvest is a moment that is eagerly awaited for you. Here I share for you tips on harvesting basil. Harvesting basil is very easy to do, you can take basil leaves every day even whenever you need. However, the best time is in the morning. For the best results, pay attention to the following harvesting tips. Harvest in small quantities: If you need basil leaves, pick the leaves from each stem, this is better than cutting the stems. You can also cut the ends of the stems or shoots regularly, this is useful to stimulate the growth of new branches so that they produce more. Harvest in large quantities: If you want to do a large harvest you can take the leaves from top to bottom or cut the trunk about 1/3 of the height of the plant. 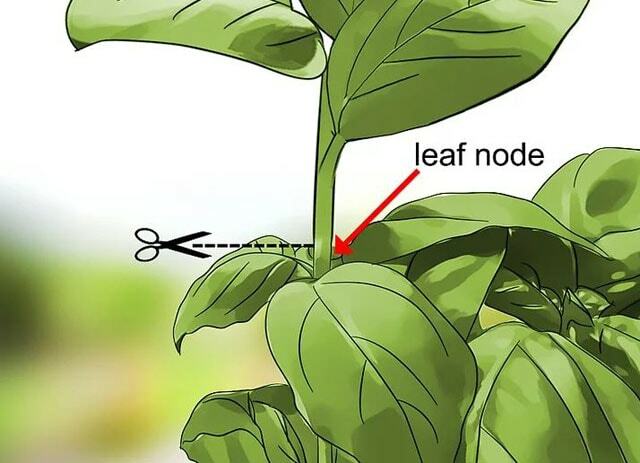 If you cut the stem, do it right above the leaf armpit, this will stimulate the growth of new branches in each armpit and about a week ahead, you can harvest again. Last harvest: The last harvest you will cut the trunk, and only take the leaves. You can make stems for compost, while the leaves use for your various dishes or store them for the future need. Ok, after we know how to harvest basil, now we see how to use basil for daily needs. After taking all the leaves from the stem, remove the rotten leaves and wash thoroughly with running water. Leave it to dry and you can use basil leaves for various purposes in cooking. Here are some dishes that are suitable for adding basil leaves into it. Making basil as tea is also one of the creations of the basil which is useful and delicious. Basil is a plant that is still a mint family, so the mint aroma is felt in basil tea. You can consume tea after eating to help your digestion. If I want to make tea, here I share the way. Take two tablespoons of basil leaves that have been finely chopped, put them in a glass, pour a cup of hot water into, wait for 5 minutes. To add flavor, give a little honey. If harvesting large amounts of basil, of course we have to save some of them. Well, the problem is how to save the results for future use. 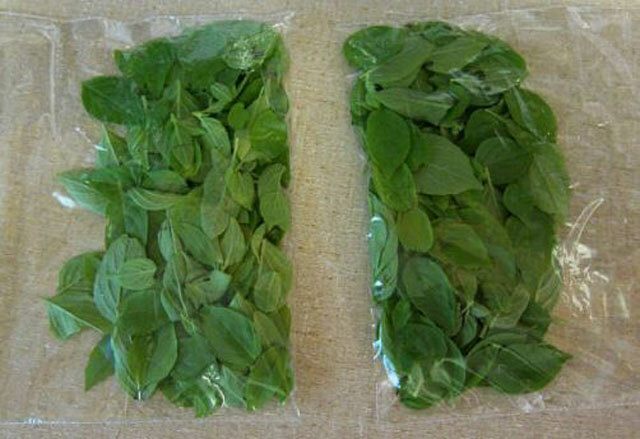 Freeze: Freeze the basil by putting it in plastic and storing it in a refrigerator and you can use it for soup. Besides this, you can dry the basil leaves in a tray under the hot sun. Dry for a week and puree into powder, this is for the needs of making basil tea. Cooked in Recipes: Basil is a great complement to your cooking. No foods that most delicious food in the world for me other than pesto sauce in winter. If you grow tomatoes and garlic, this is amazing, you can spend your time on various delicious dishes with fresh basil mixes. You can start your business by making marinara, stewed tomatoes, soups for freezing or canning.